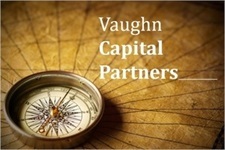 At Vaughn Capital Partners we understand that your individual financial situation is unique and deserves an equally unique approach designed to help put you on track to reaching your financial goals. Because we are an independent firm, we have no obligation to sell proprietary products or services, so we can be openly selective in offering only those investment products and services that we believe are best suited to help meet your financial objectives and goals. This is the objectivity afforded by working with an independent financial consultant. We offer you timely, unbiased investment advice, and promise to do so with the highest level of integrity and service. By affiliating with First Allied Securities, Inc., an independent broker/dealer, we have access to the tools, regulatory guidance and resources to best serve your unique financial needs. First Allied Securities, Inc., serves as the firm of choice for independent financial advisors who seek to grow their businesses. First Allied’s exclusive business development platform has been constructed to provide entrepreneurial advisors with the industry's most comprehensive platform for growth. First Allied is a member of Cetera Financial Group, RCS Capital Corporation’s (NYSE: RCAP) retail investment advice platform. As of December 31, 2014, First Allied had approximately $31 billion in assets under administration and 785 affiliated financial advisors. First Allied Securities is part of First Allied Holdings, which also includes The Legend Group, a specialized provider of investment and retirement solutions to the not-for-profit space, including 403(b) accounts.